Dear Linda,I have listened to your interview on an archive on the Paul Drockton Radio Show. I don't know if you have heard of Red Ice Creations at all, an online radio show, but I thought yourself and your book is important enough to be featured with them. Listeners are invited to send in guest suggestions and I have emailed Red Ice Creations with a view to have you on as a guest. They have covered this very important topic many times on past programs. (I maybe should have checked first with you if that was okay, please accept my apologies if this was presumptious!) I have emailed to Henrik the links from your interview with Paul and your website. Henrik is a very good interviewer, as you will hear from his shows which are fully archived (you may already know him!) and has some very interesting guests with very important info. and worth listening to if you have some time. The link for Red Ice: http://www.redicecreations.com/. I'm sure you've heard of the Holly Grieg case going on right now in Scotland, also featured on Red Ice. Don't want to go on too much but thanks so much for your work and your time. Dear Linda, I just heard your interview that was sent to me by a dear friend. You just confirmed a life journey for me on so many levels. I want to share with you my journey in healing and my desire to reach out to others with my music and writing. Please contact me. Thank you very much, and God bless you! 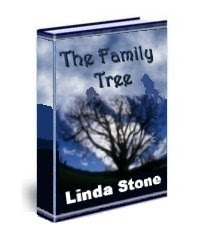 Hello J, please feel free to email me at lindastone_familytree@yahoo.com Thanks and God Bless You! Linda, are you still sending your book via email? I am interested in buying it.